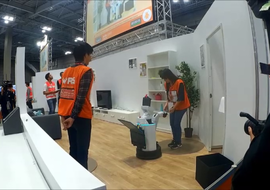 Team AISL-TUT, comprising members of the Miura Laboratory of Information & Intelligence Engineering, took third place (WRS Executive Committee Chairperson's Award) in the World Robot Summit (WRS) 2018 Partner Robot Challenge (Real Space). The prize is an honorary certificate awarded to the top teams of this competition. 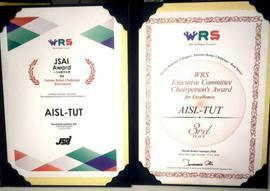 The team also received the Japanese Society for Artificial Intelligence Award.